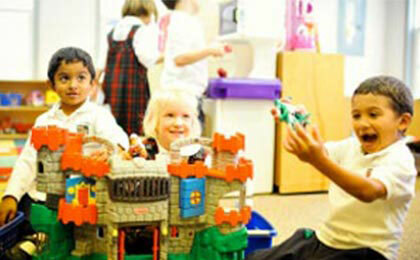 Lake Forest, IL Pre-K & Preschool Private Catholic School - Enroll Now! East Lake Academy is open to families in the Lake Bluff, Lake Forest, and Libertyville communities who have children ages three and older ready to attend pre-school. Two classes, the three-year-old and four-year-old classes, are available to your youngsters, and East Lake’s faculty takes a multi-sensory approach to both academic and spiritual learning. For younger children age three and four, much of the preschool and pre-K experience is designed to help them learn skills crucial to the rest of their years in school. A big part of your child’s ultimate success is his or her ability to work, play, and interact with his or her peers. 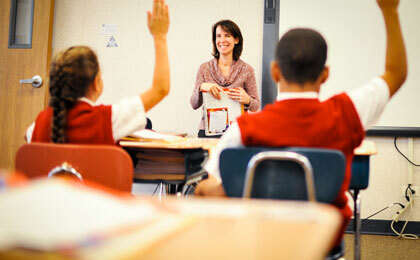 At East Lake Academy, faculty and staff place focus on helping your child grow in his or her social skills. Students are encouraged to play together, and they are often put into pairs or groups to complete tasks in the classroom and out. 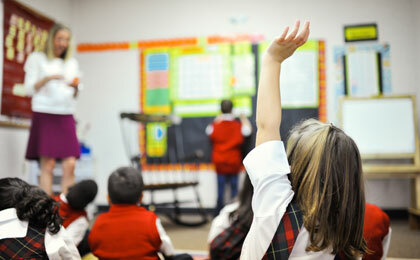 This type of teaching encourages children and helps to prepare them for the many years of schooling ahead of them. Whereas parents in the Lake Bluff, Lake Forest, and Libertyville area certainly have their choice of pre-K and preschool options, only a handful of these can offer both academic and spiritual learning. That is precisely where East Lake Academy excels. 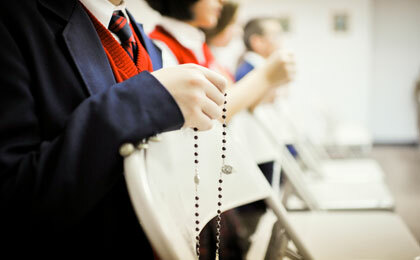 Each and every lesson is backed by faith and apostolic nurturing, which means that as your child learns more in the way of reading, mathematics, science, and social skills, he or she will also learn about the Catholic faith, the unwavering and unconditional love of Christ, and God the Father. 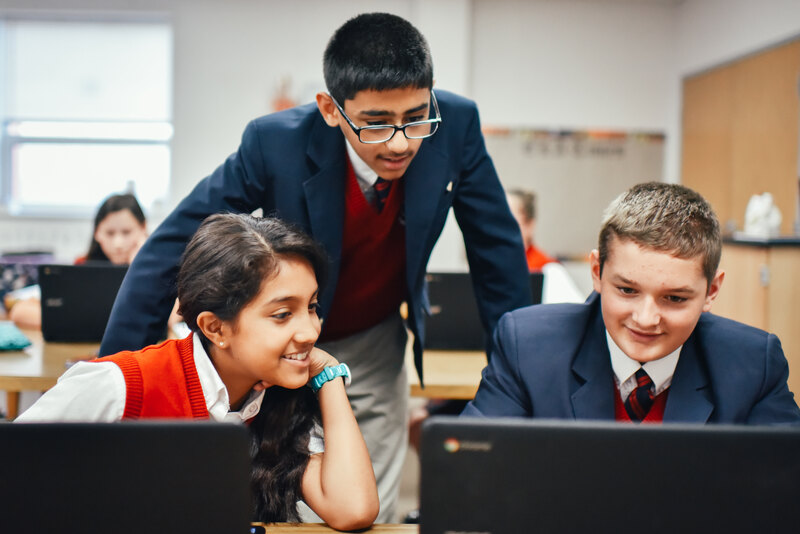 With regular Mass and classes focused on age-based bible teaching, East Lake Academy considers religious learning just as important as academics. Many of today’s pre-K and preschool programs are more like daycare centers than actual school settings. Children spend much of the day playing with others, and while this is important, the lack of academic focus does little to help give these children a head start in school. At East Lake Academy, children as young as three years old are taught to recognize letters and the sounds they make in playful, encouraging atmospheres. By the time these children reach kindergarten, most of them can already read and perform basic mathematics calculations. This small, but important boost in your child’s learning can set him or her up for a lifetime of success. Finally, East Lake Academy strives to provide each and every one of its students with the foundation to develop a lifelong love of learning. Though it may start simply with the love of story time, children at East Lake Academy quickly develop an incredible sense of curiosity, enabling them to learn through play and exploration. Though pre-K and preschool teachers provide a structured environment with a rough routine, children are also encouraged to play on their own and learn more about the world around them. East Lake Academy offers some of the best, most innovative, and most faith-backed pre-K and preschool classrooms in the Chicagoland area. For more information, feel free to write, call, or email the staff about enrollment, or even set up a tour of the facility. Communicate with admissions to enroll now!